The first word that comes to mind when you hear the word “Introvert” is shy, and this can be very misleading. An introvert tends to turn inward mentally; we get energized by being by alone. An extrovert needs people around them to get energized. When I was younger I would have never considered that I was an introvert. I did not discover this amazing quality until I was reading a parenting book in regards to the introvert parent raising an extrovert child. In reading this book it helped me to discover more about myself and how I function in life, dealing with people and know that it is ok to take a step back from people when needed. I would not consider myself a typical shy person, I love to visit with people, listening to what they have to say and getting to know who they are. If I am in a room full of 100 people, and I am talking with you. You have my 100% attention and I do not even see the 99 other people. I give all my energy and attention to visiting with you; by the end of the day my energy is diminished. This is the time when I have to take a step back, regroup and spend time alone to build up my energy. When I walk into a room, I will not be the first person to speak. I will listen to you, ask questions, and then process the information I am taking in. At this time I will talk and share what I believe is relevant to the conversation. There are many great leaders of success that are introverts – Warren Buffet, Bill Gates, Albert Einstein, Rosa Parks, Steven Spielberg, Sir Isaac Newton, Mark Zuckerberg, just to name a few people. Introverts make good leaders and have a lot of wisdom and insight. We are not easily swayed and when there is a job to be done we are focused and determined. 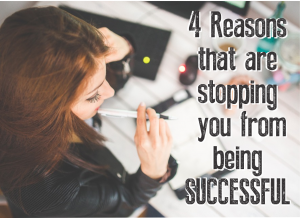 Introverts are disciplined, work well by themselves and can keep on track without be distracted. Working well behind the scenes to reach the goal, our best creativity can come out when we are left by ourselves to work on the task. We observe situations while taking a step back, where others are busy talking we notice the details that many people may miss. Introverts are not about just today and this moment, we can see the bigger picture and the goal that we are heading to. We need more people to listen, people feel they are validated and connected when someone sits down and just listens. We won’t interrupt you while you are talking; the conversation is about the person who is sharing their perspective and ideas. Listening first and then talking, with this action we establish a trusting relationship with you. We create a healthy environment to lead a great team with good communication and encouragement. There is no need to validate an Introvert by other people, we are confident in whom we are. We do not rely on other people or external sources to make us feel better about ourselves. Introverts know that we cannot always depend on others to get the job done; we just get it done ourselves. This is an empowering freedom that we have that helps us deal with the ups and downs of life that comes our way. 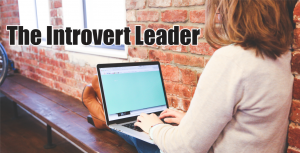 We need to have Introvert Leaders as much as we need Extrovert Leaders. If you ever thought being an introvert could not make a difference in this world, we can make a big difference and become successful leaders.